Nanaimo home sales decreased 11% in February 2018 when compared with February 2017. The average sale price increased 11%. The median house price was $545,000. Parksville/Qualicum home sales decreased 23% in February 2018 when compared with February 2017. The average sale price increased 30%. The median house price was $560,000. 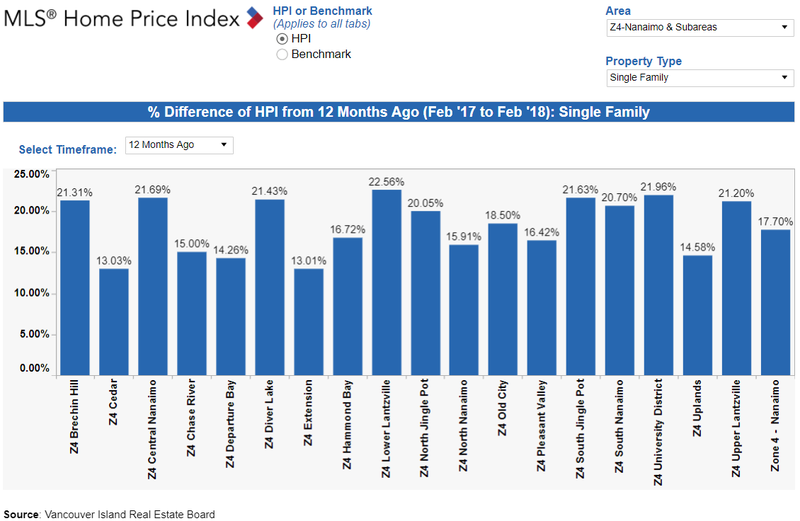 In Nanaimo for February 2018 there were 210 active listings of single family freehold homes, which is 12% lower then February 2017. There were 85 reported sales which is 11% lower then February 2017. The Bank of Canada opted to maintain its target for the overnight interest rate on March 6th at 1.25 per cent. In the statement accompanying the decision, the Bank noted that although growth in the Canadian economy slowed more than expected in the fourth quarter of 2017, the economy is expected to operate at capacity going forward. The bank cited recent trade policy developments, mainly the threat of a trade war with the United States, as a significant risk to its outlook for growth and inflation.